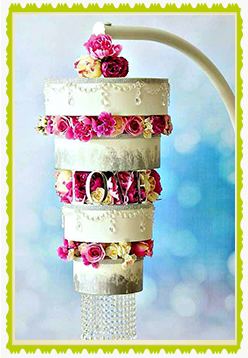 Cakes by Lisa is a boutique cake decorating business that creates unique and modern cakes for all occasions. 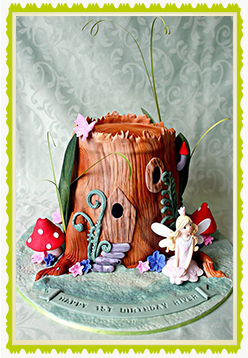 Passion, commitment and attention to detail is paramount and shows in our standard of cakes and personalised customer service. 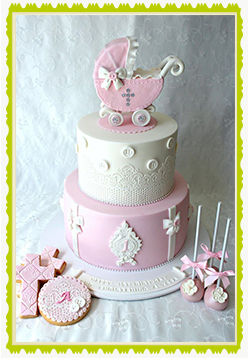 Cakes by Lisa is located at Sandhurst in Melbourne’s south. All food items are freshly baked in a fully registered and council approved Class 3 certified kitchen. I just wanted to send you a big and heartfelt THANK YOU!!! The wedding cake was absolutely delicious and was the talk of the town. I’ve given your details out to everyone in case they want a cake for any occasion. All three flavours of the cake were delicious (Red Velvet, Caramel and Chocolate) not too dense and not too sweet either. Such wonderful service and I cannot express how glad Michael and I were to have you make our wedding cake. Thank you Thank you and Thank you again. Thanks Lisa for a wonderful wedding cake! Tasted amazing and looked so beautiful, just what I had requested. Both Marc & I were very happy with the final product and all our guests commented on how great the cake tasted! Lisa just made my wedding cake. It was exactly what I was after and she was very accommodating to my requests! Very easy to work with and everyone loved the cake they said it was delicious especially the White mud cake with raspberry swirl is defiantly a must try! Thank you so much Lisa your cakes are always amazing! You can tell that you take such pride in your work!! Your attention to detail is second to none and without your amazing skills our daughter’s birthday wouldn't have been as beautiful as it was!!! The cake was absolutely amazing everybody spoke about how moist and fresh it was. Don’t go anywhere because you’re definitely my new cake lady! Your cake was 10/10 for taste, flavor and freshness and presentation. It was so moist and beautiful. Happy Bee-day! A Bee themed cake featuring handmade fondant bees and a fondant bow to finish off the top of the cake. Do you get envious looking at the perfectly cut lettering on other peoples cakes? I thought I'd put together a tutorial on how to use "tappits" (letter cutters) and achieve perfect results everytime. Fortnite continues to be a popular themed cake for the boys! Happy 11th Birthday Hrag! Last chance to book in for a Xmas Class - Only a few spots left in the Adult Xmas tree cake class and I have released a new 1pm time for the Mum & Me reindeer.